Fat Belly is a new speakeasy-style steakhouse in Singapore that shares the same space with its sister brand and ice cream joint, Sugarhaus, at Serene Centre. It only opens in the evening, occupying the counter seats at the back of the ice cream parlour. This 10-seater steakhouse is helmed by chef-owner Stanley Seow, who specialises in alternative, less well-known cuts of beef such as the Flat Iron, which is essentially a cut taken from the shoulder of a cow—generally much less tender than a tenderloin or even a ribeye but let us leave it to the expert to prove us otherwise. Situated right next to Coronation Plaza, KARA Cafe & Dessert Bar is a new cafe and dessert bar by the team behind Sogurt. It takes over the former space of Sogurt and this is where you can enjoy a splendid array of delicious food in a warm and welcoming environment. To top it off, you will be dining in a beautiful space decorated by tropical foliage and imaginary creatures with art by Mark Wee. When it comes to dessert and good food, it will always be a love-hate relationship. Well #sorrynotsorry because after today, you will be adding on one more cafe on your list of cafes to visit in Singapore. 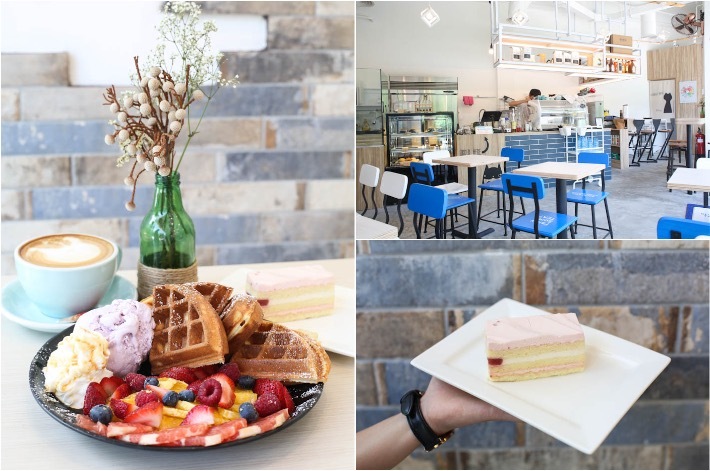 New kid on the block, CATfeine, is nestled in The Hillford along Jalan Jurong Kechil. Contrary to its name, nothing about the cafe’s interior design reminds you of a cat but the idea is there—a cosy environment coupled with relaxing vibes to encourage their guests to lounge around. Singaporeans seem to have an unfathomable appetite for waffles. 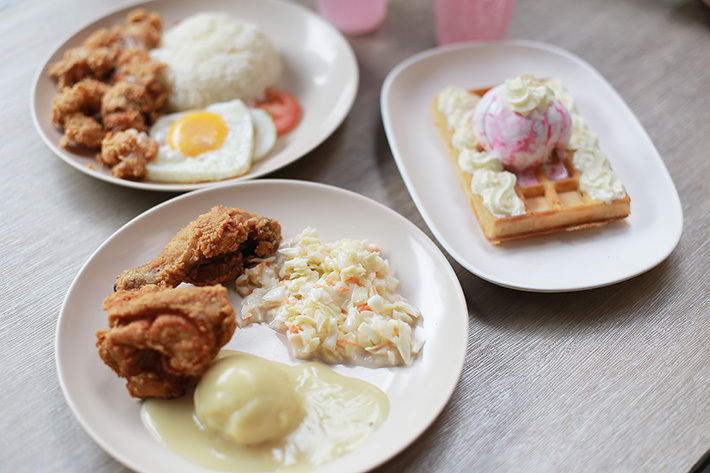 Over the years, many cafes and dessert joints have boasted the iconic dish in numerous innovative ways to satisfy our cravings (and Instagram feeds), but it is a shame that in the midst of all the hype, many people have neglected one of Singapore’s oldest fried chicken and waffle joint. Waffletown at Balmoral Plaza is a family-owned retro fast food restaurant that has been serving American food such as burgers, fried chicken and Belgian waffles for the last thirty odd years in Singapore. At Waffletown, expect no gimmicks, just great food and possibly the best (and simplest) waffles around. 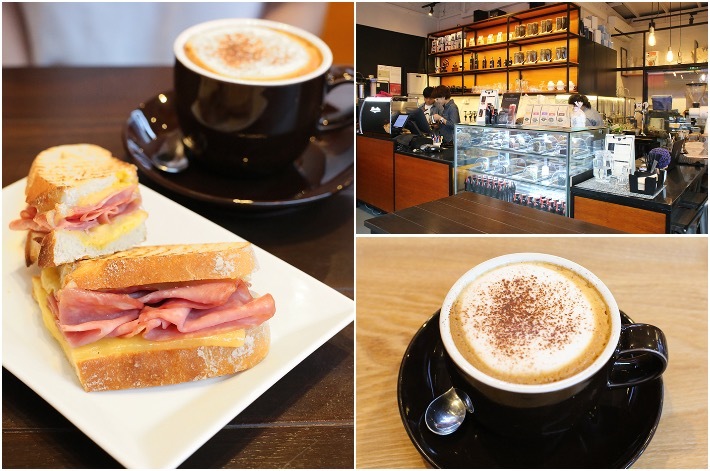 Bukit Timah Plaza is an old shopping mall with many hidden gems and our latest discovery is Boyle’s Coffee which is situated beside Rise & Grind cafe. Nothing is over-the-top at Boyle’s Coffee and the most impressive thing you will find there is probably their chic espresso machine. A wallet-friendly dining establishment you should be taking note of is [email protected]—one of the many options along Greenwood Avenue. [email protected] is a coffee shop by day where diners can delight in their multi-cuisine menu and a bistro by night for a chill dinner and drinking session with your mates. Most of the items on their menu are kept below S$13 and there is no GST and service charge. Lorong Kilat is a cosy little street near Beauty World MRT Station on the new Downtown Line in Singapore. The new Downtown Line has made the whole Bukit Timah area very accessible so there is no excuse to not travel to the West for food now! The whole stretch feels very comforting, like a quaint little neighbourhood street. But during meal hours, the place comes to life. 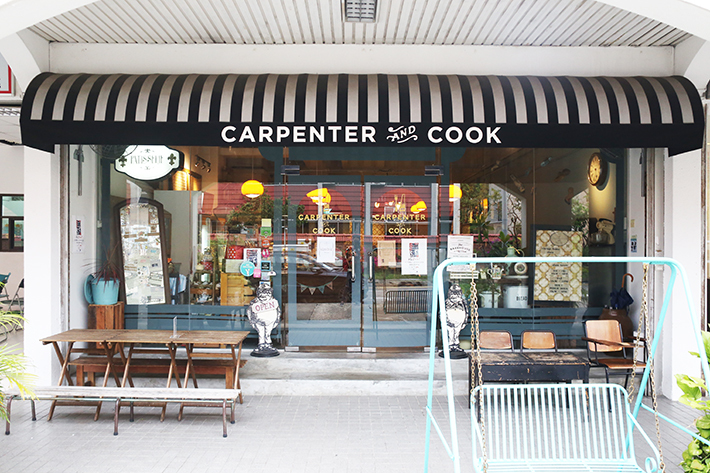 Bars, bakeries, restaurants, cafes and more populate the area, with some very well known names such as Carpenter and Cook, Kim’s Family Restaurant and more. Here is a Guide to Lorong Kilat’s Restaurants, Cafes & Eateries. 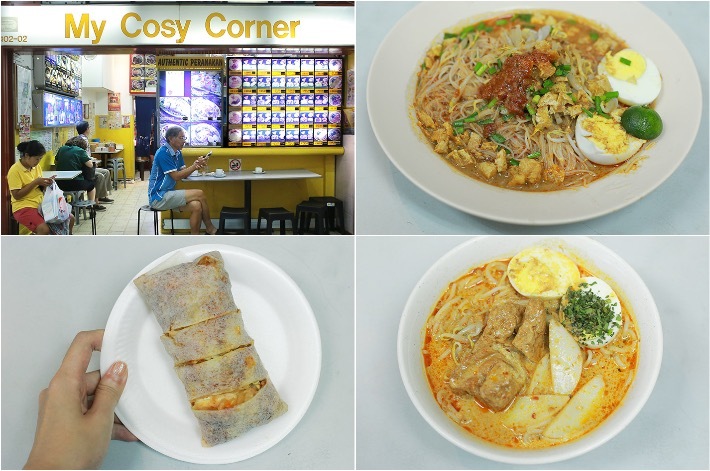 My Cosy Corner is a hole-in-the-wall Peranakan eatery tucked in the corner of Coronation Shopping Plaza, in Bukit Timah. It is a place where you will feel instantly at home and the staff would occasionally have a friendly conversation with the customers. Come here for great-tasting Peranakan dishes, local fare and Japanese bento sets.